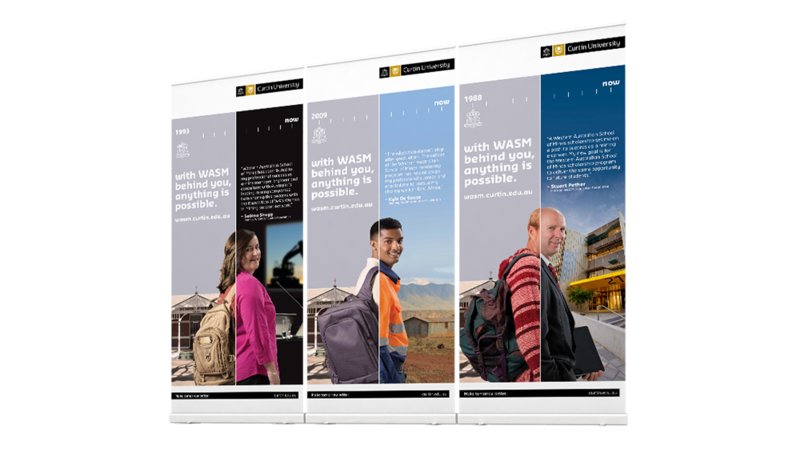 Platform Communications welcomed Curtin University, Western Australia’s largest university with over 40 000 students attending 16 different locations, into our client portfolio in April 2013 and we continue to provide expert communication and graphic design support on a number of projects. Platform was engaged by Curtin University to assist with the development and implementation of a comprehensive change management and stakeholder engagement strategy to support the Transforming Learning Initiative. Our communications specialists were also approached to develop and implement a strategic communications plan that facilitated understanding and engagement by Curtin University’s key stakeholders with the Values Initiative. Platform’s creative team have also worked extensively with Curtin University’s Western Australian School of Mines (WASM). 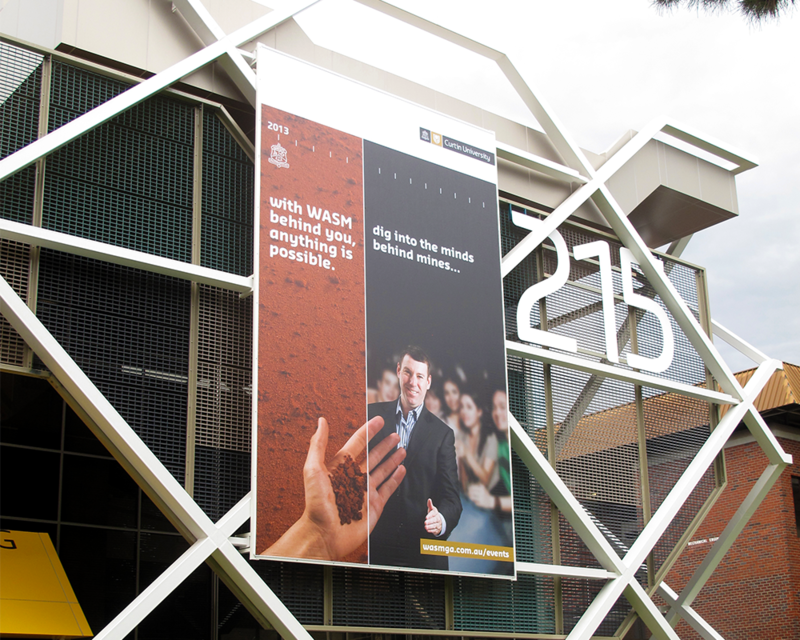 We designed a number of external relations collateral, including pull-up banners and advertisements, to showcase the success of previous graduates and heighten WASM’s reputation within the mining industry. 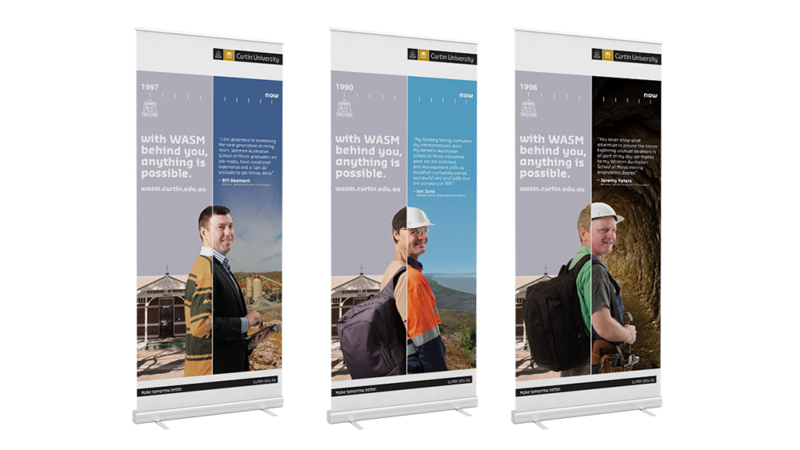 WASM exhibited at the Diggers and Dealers Conference in 2013, enlisting Platform to design a bespoke and engaging exhibition booth that captured the attention of delegates, media, suppliers, conference attendees and the investment community. Platform coordinated the production, delivery and installation of the booth on behalf of the client and designed a suite of complementary marketing materials including banners and pull-up banners to further enhance their presence. To build on the level of exposure and engagement at the conference, Platform and WASM worked together to create the ‘Golden Booty’ competition. Brightly coloured work boots were placed around Kalgoorlie-Boulder and delegates/media went into the running to win a $2000 Qantas travel voucher if they returned a boot to the WASM booth. The competition was highly successful and gained notable print, digital and social media exposure. Platforms creative team also designed the competition collateral.